One prong set square cushion mixed cut natural yellow sapphire approximate weight of 1.82ct., clarity is moderately included, type II, medium dark, slightly brownish, orangy yellow color, (GIA oY 6/2), cut is good. Transmitting light with a minimum of distortion, transparent. Naturally occurring internal & external characteristics are present. Graded in the setting. Forty prong set round brilliant cut diamonds approximate total weight of 40 Stones = 0.41 ct. Graded in the setting. 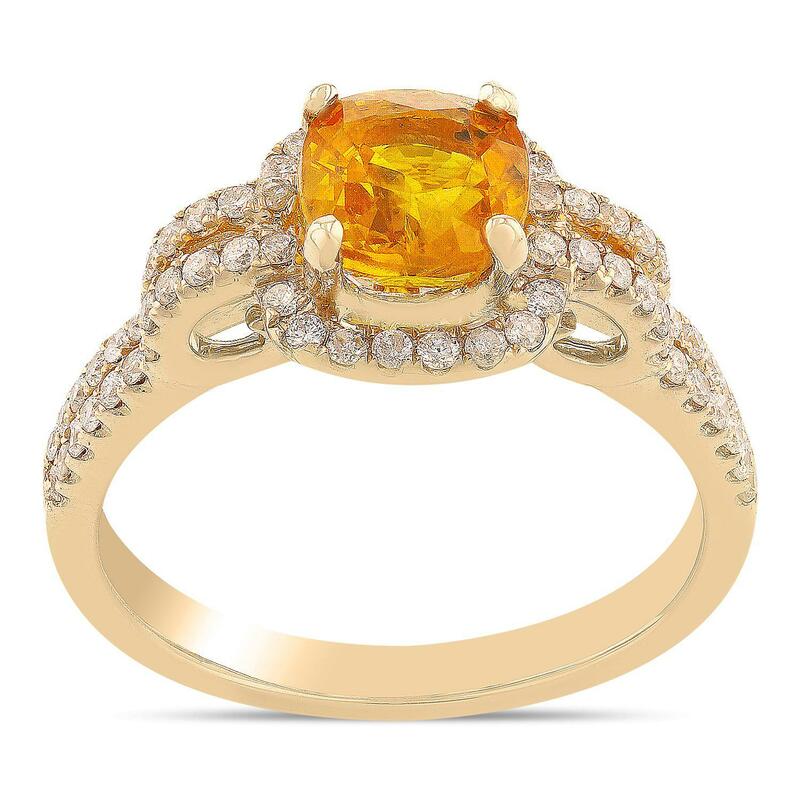 Total Weight of Colored Stones 1.82ct. Total Weight of Diamonds 0.41ct.